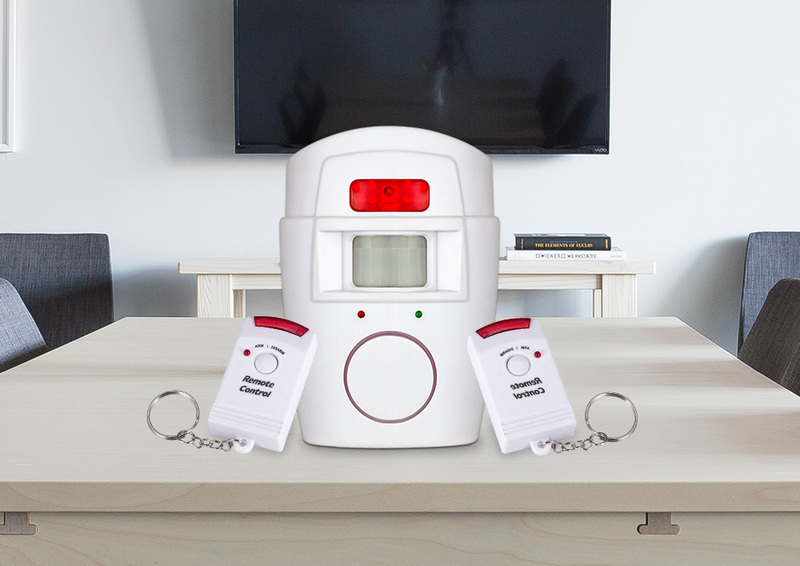 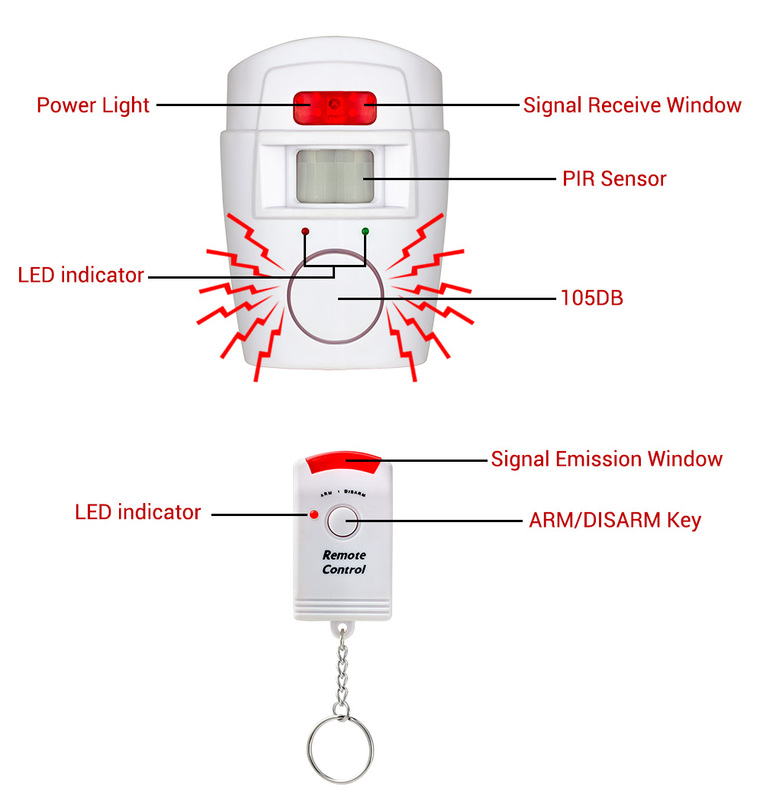 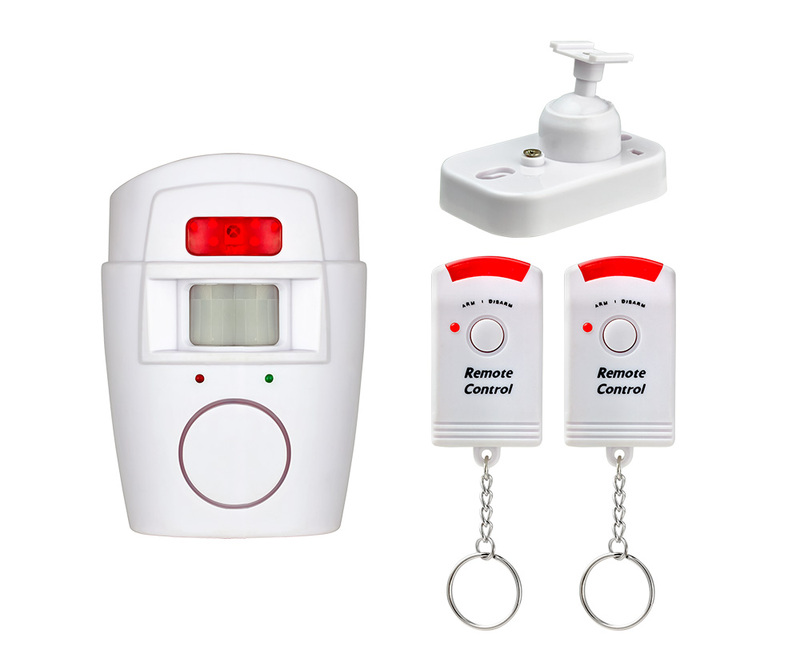 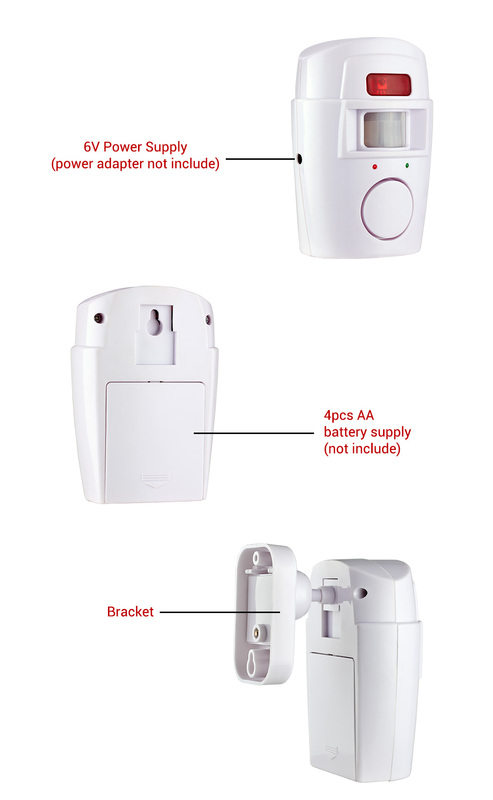 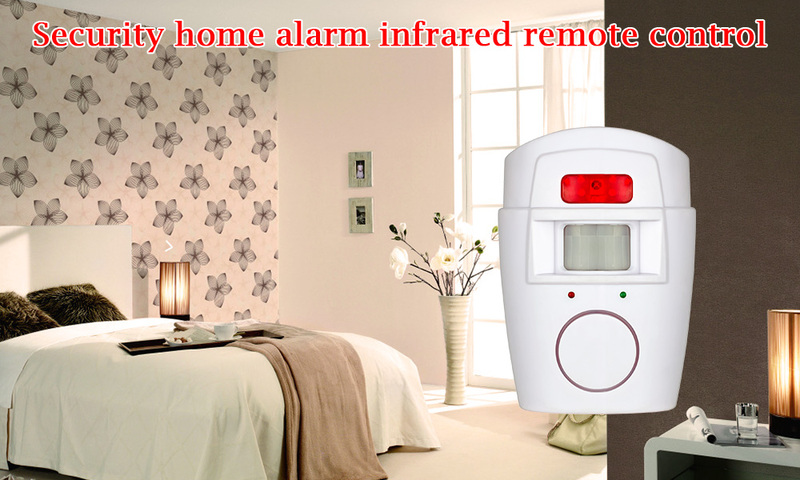 Home PIR MP Alert Infrared Sensor Anti-theft Motion Detector Alarm Monitor Wireless security Alarm system Protect and deter intruders in both your home and office with this wireless remote control motion sensor alarm. 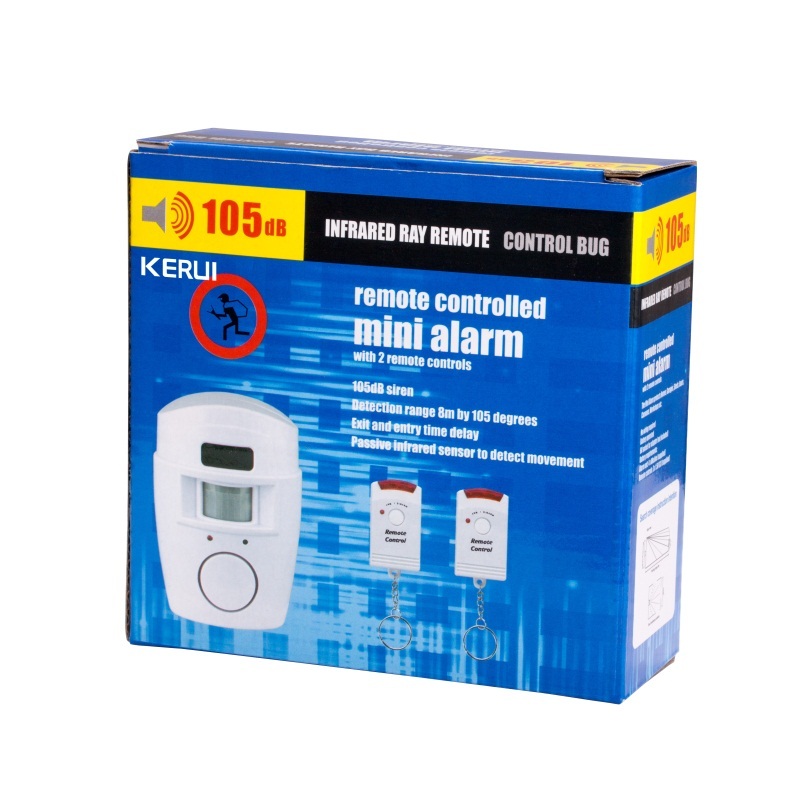 Ideal for use in Garages and Sheds. 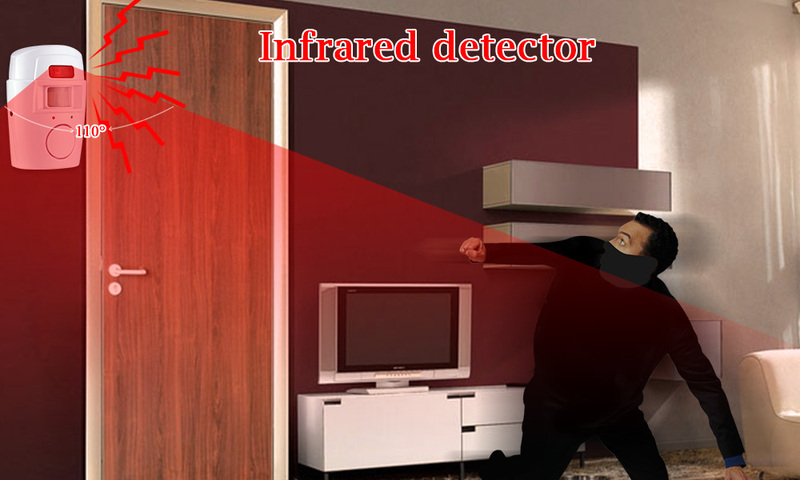 Wireless, infrared detector, motion-activated Include 2 direct infrared remote control Adjustable mounting unit Easy to install 105 dB loudness 110 degree wide angle The motion detector power by 4 AA batteries (not included) The remote controller power by 3 AG13 batteries (included) Note : 10 meters range for detection, after you arm the system. 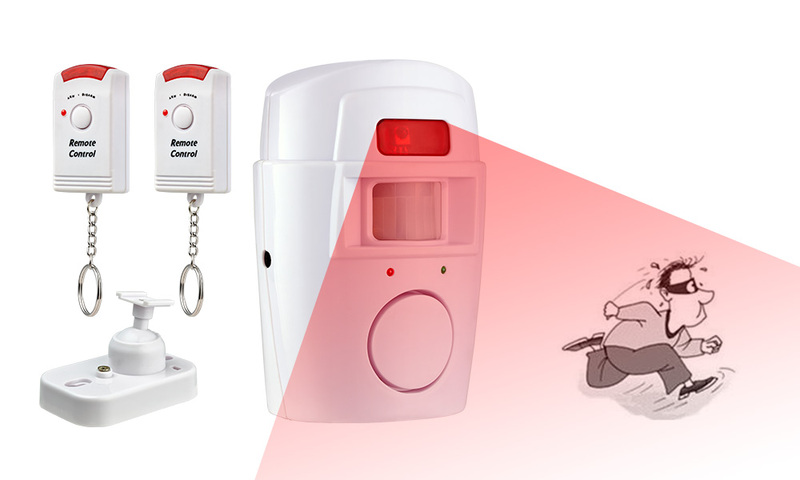 When the alarm is triggered,it will sound for 40 seconds.